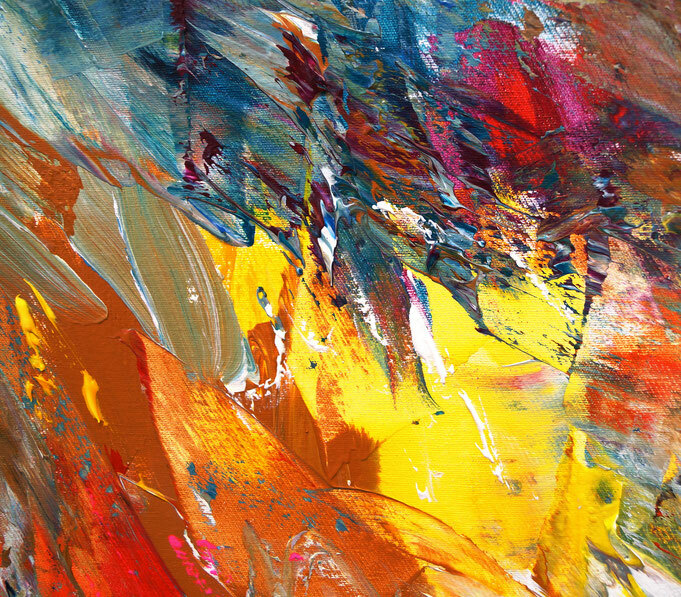 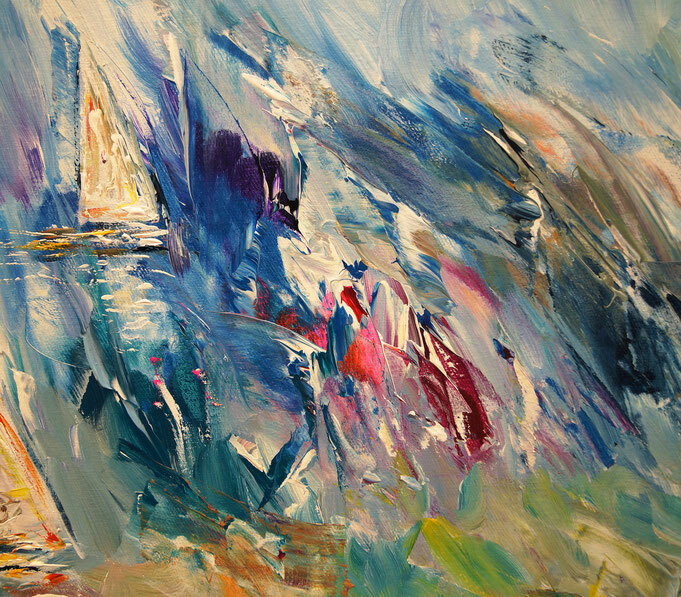 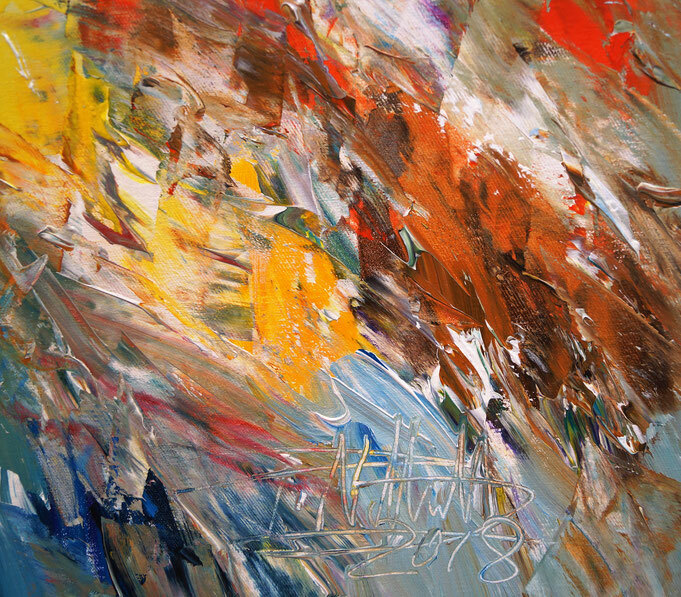 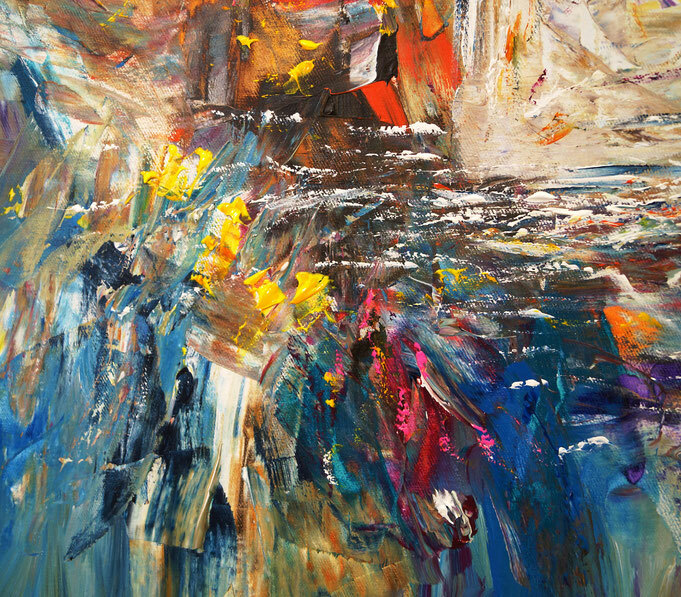 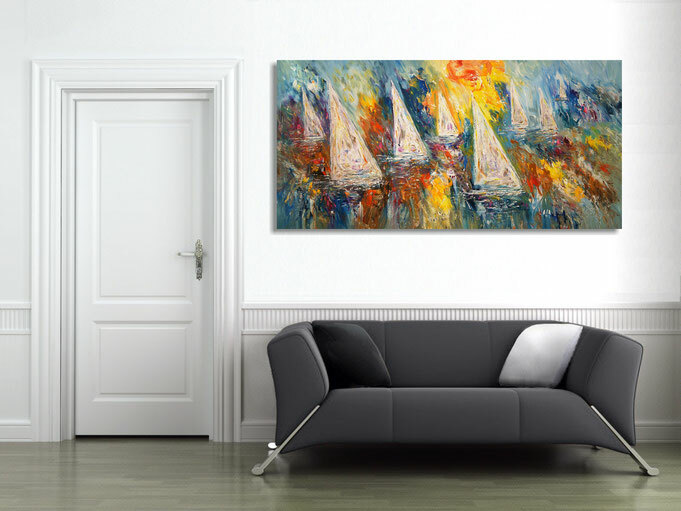 Abstracted maritime work of art. 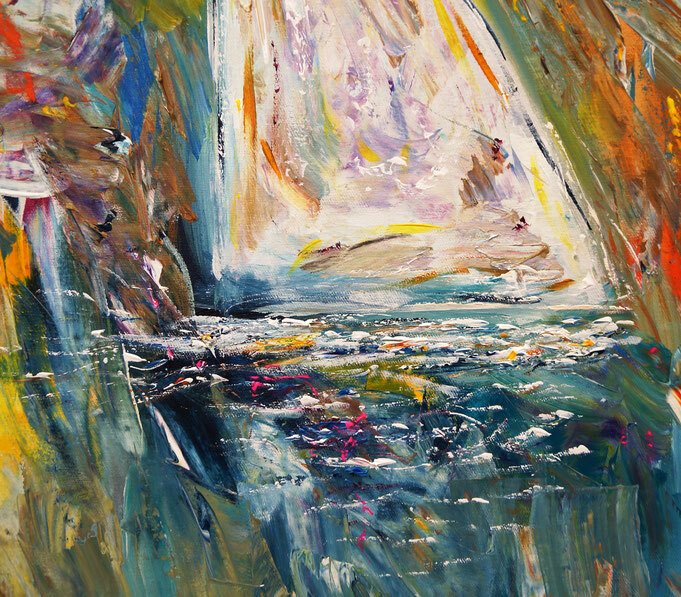 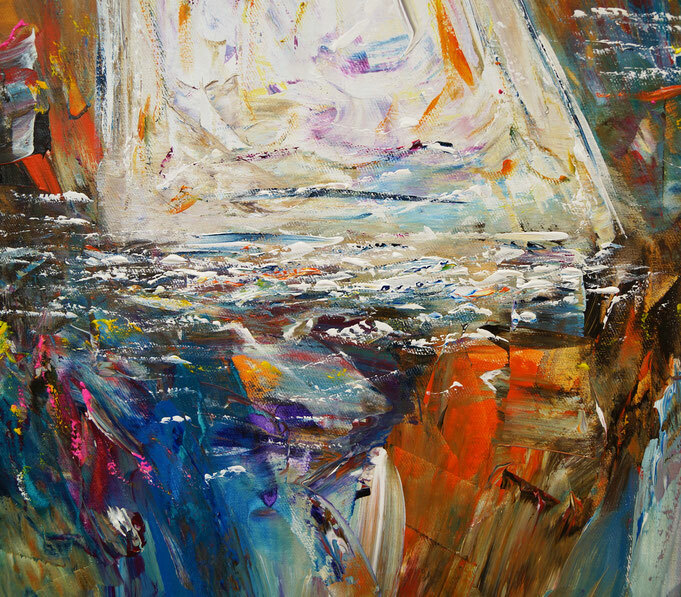 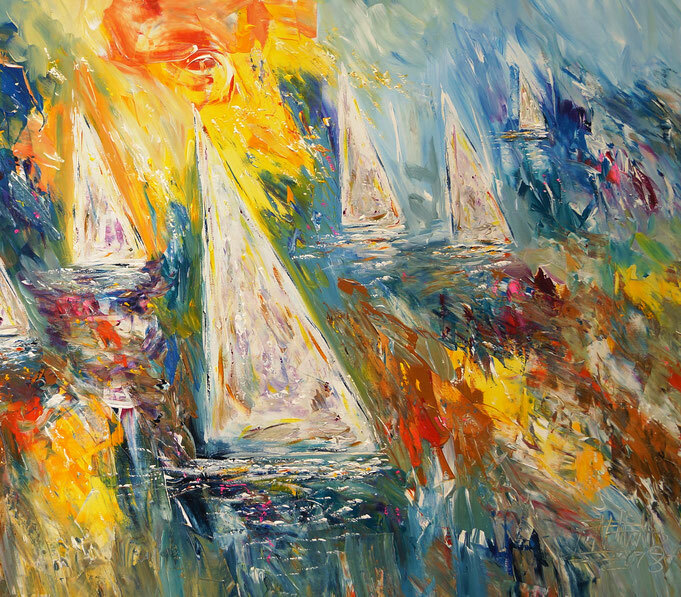 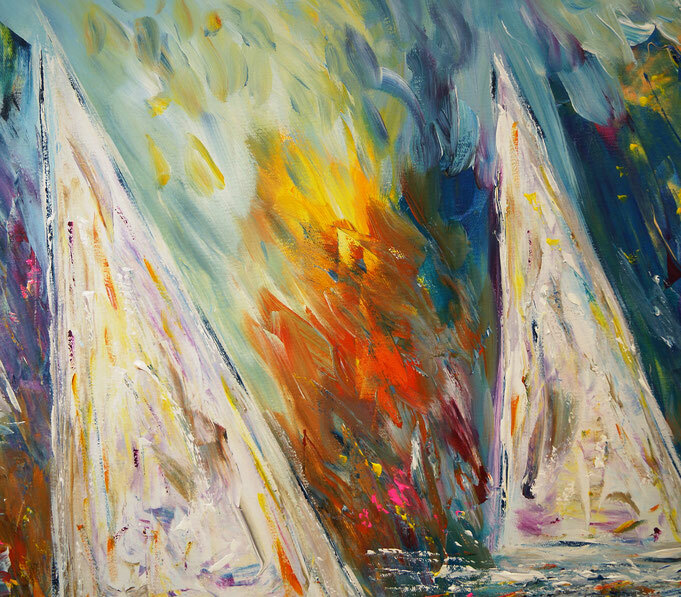 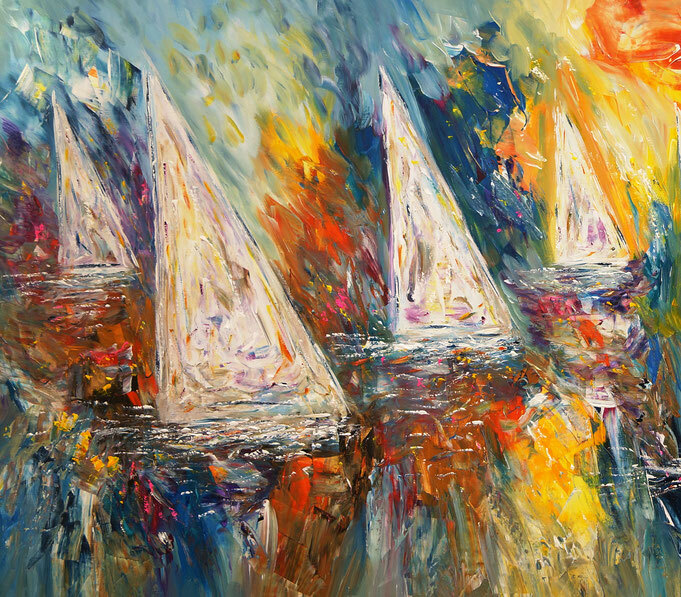 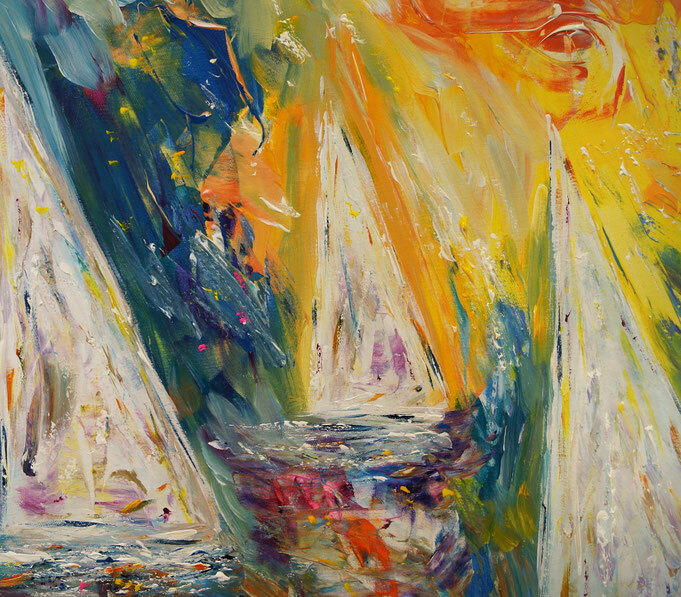 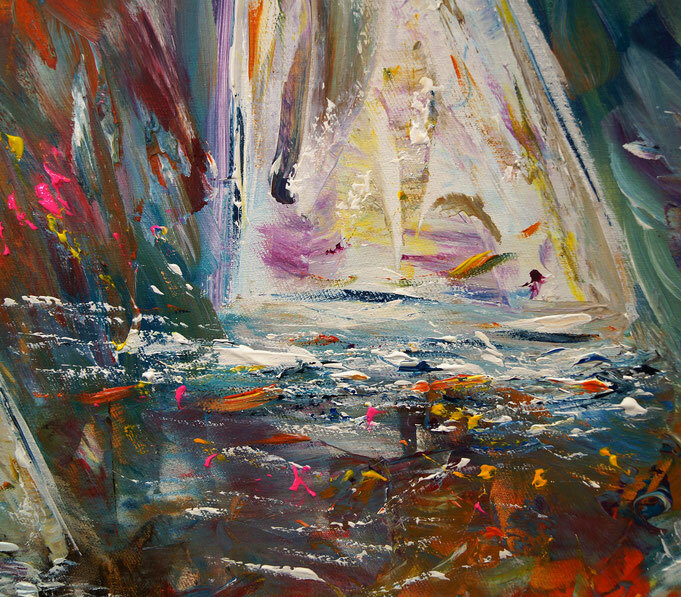 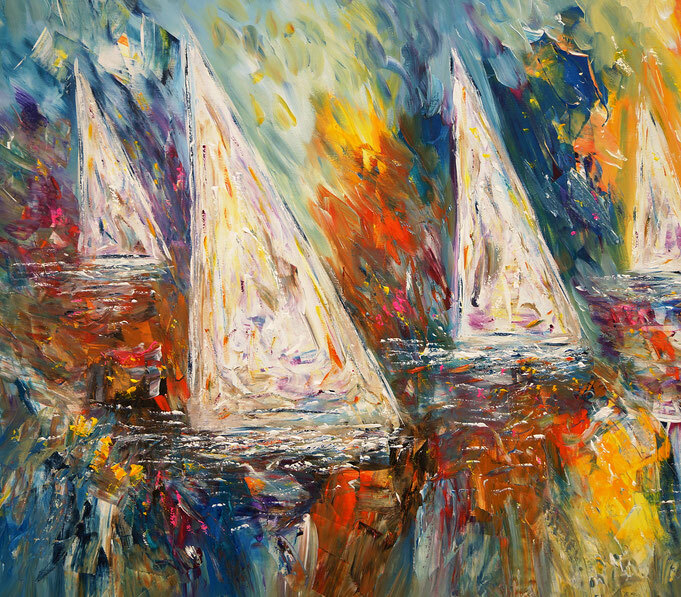 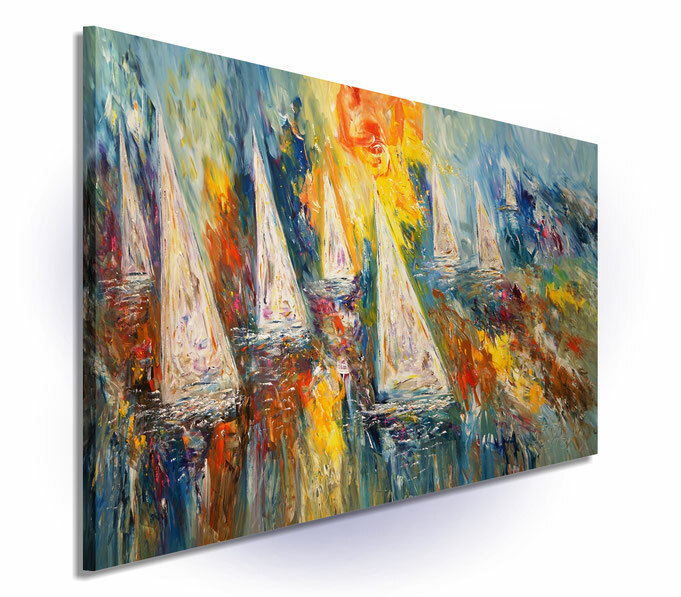 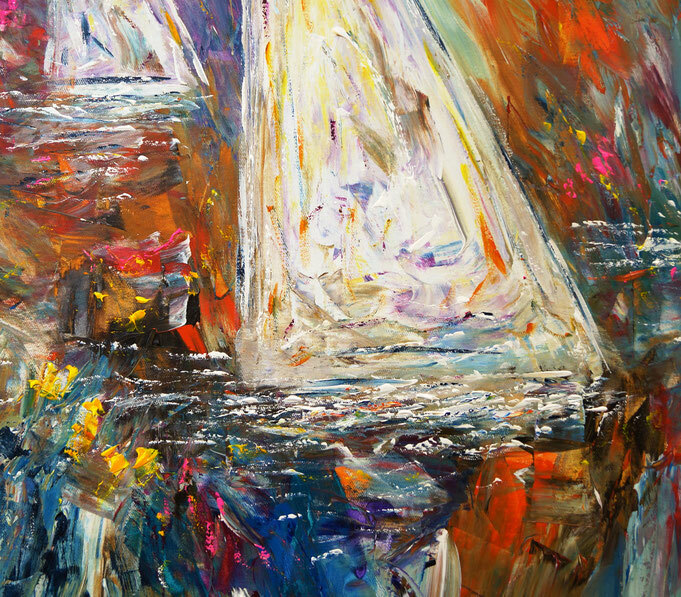 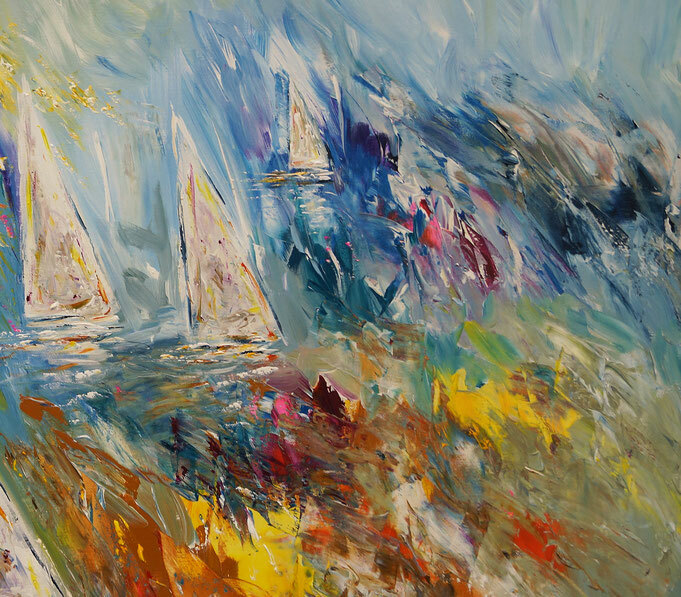 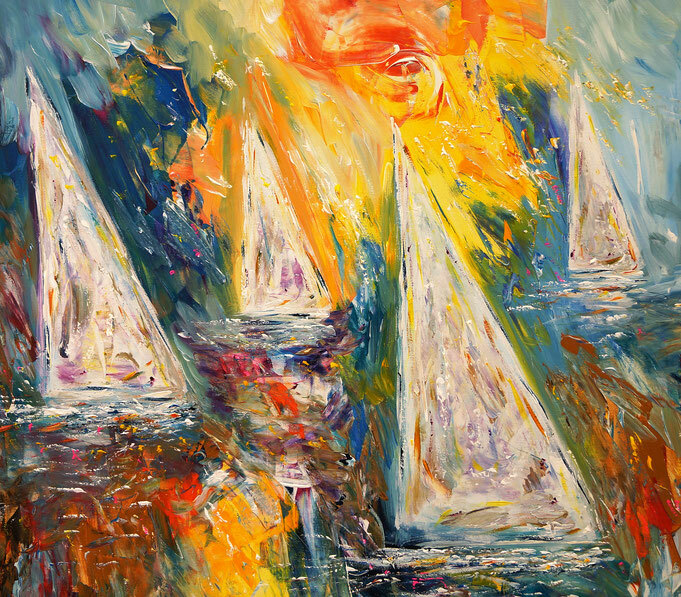 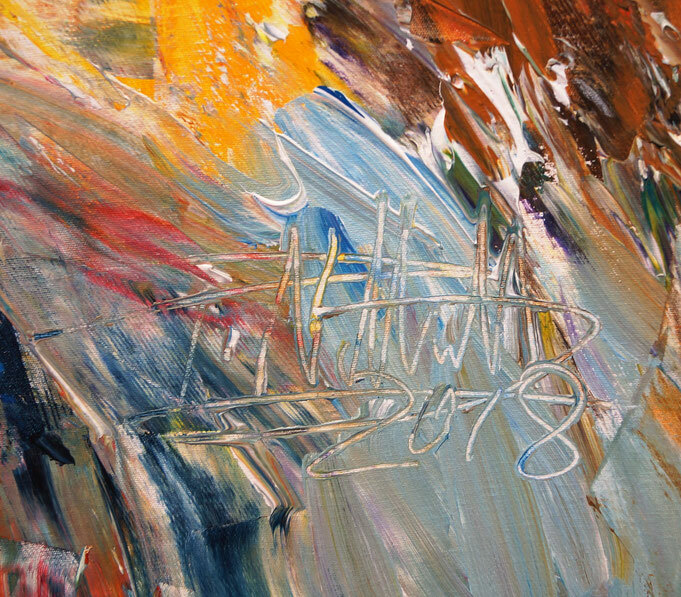 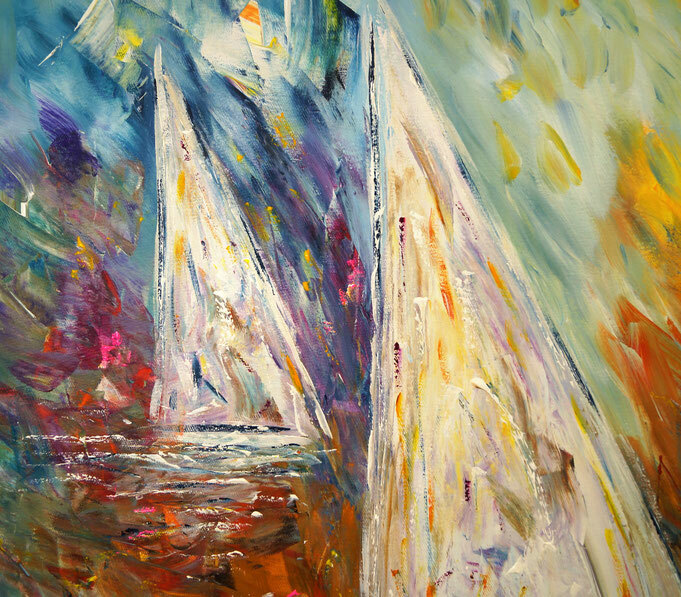 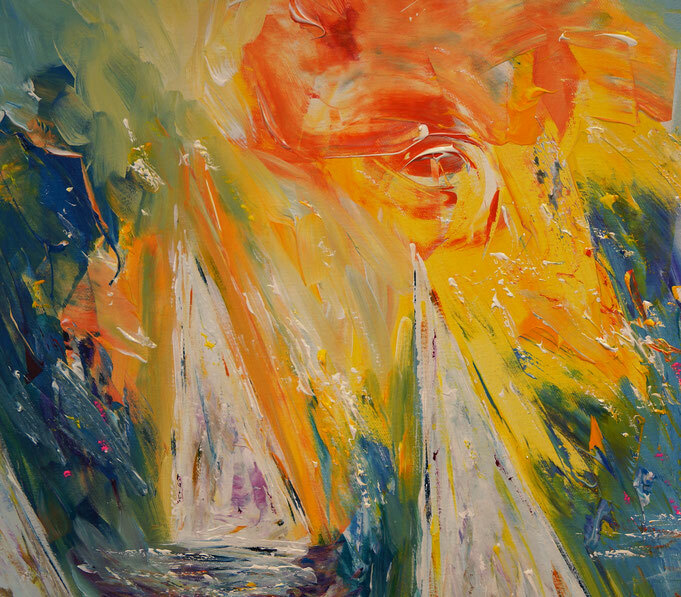 Water, wind, sailboats, sun, sky and clouds make up a very dynamic, maritime scene on the water ... a modern, abstract and expressive acrylic painting in blue, white, yellow, orange and brown hues as well as purple and pink accents. 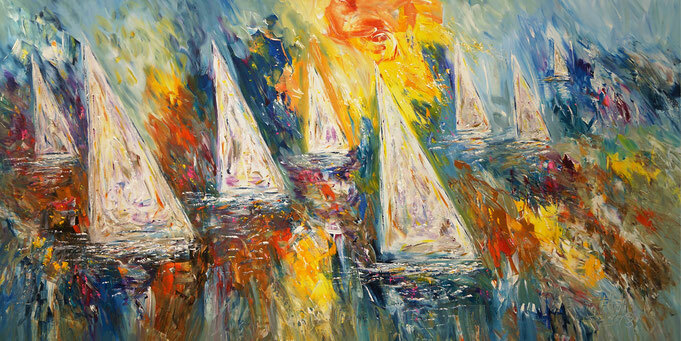 During some beautiful beach walks by the sea, I love to collect inspiration for pictures like this one.